Caterina, please tell us about yourself. Hi, I'm Caterina Ferrara and I work as Communication Officer and Social Media Manager, I'm a member of Startup Grind, the community by Google for Entrepreneurs and in my free time I enjoy doing cryptocurrencies trading. 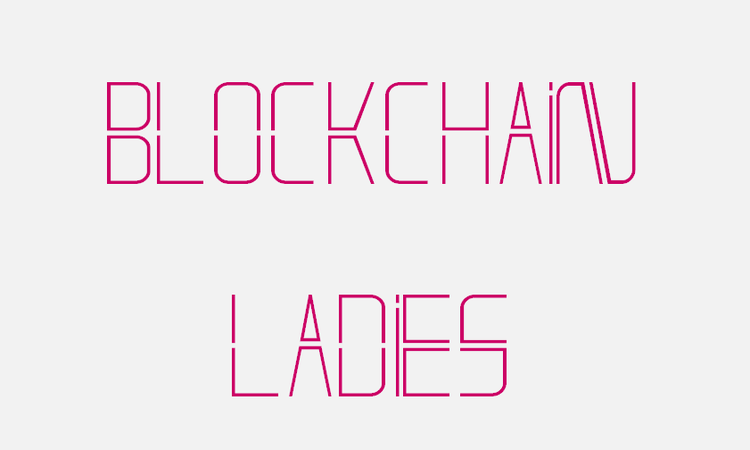 Why have you launched the "Blockchain ladies" initiative, what has led you to create the network? It's about a year since I got closer to the world of bitcoin and co. and I have immediately realized that the real strength is represented by the technology that supports this new economic and financial system: blockchain. I decided to use it for a personal project that is currently being implemented and to be a full supporter. Meanwhile, thanks to a dear person, I reflected on how few women were involved in the tech-industry but not so few in the entire world with its continents. That's how I have decided to create value around my skills, clinging to other women who believe in the power of the community and this new technology, just like me. What goals do you want to achieve in the short and medium-long term? The first goal is to promote the female presence in this field and above all the collaboration between blockchain professionals who live in every part of the world. BlockchainLadies, in fact, is not just a community but a virtual space where strong and smart women inspire other smart women. A real platform will be created to manage relationship between community users allowing secure and effective sharing of documents. This will be possible thanks to the team of CooEvo, a young Neapolitan startup with which Blockchain Ladies has made a real partnership. Our is now a technology marriage that will soon be officially formalized. There is a men dominance in the fintech and blockchain sector, and even if innovation a typically feminine trait, most of the innovators are men. What's your opinion? The sense of Blockchain Ladies is just that. All minorities possess a considerable intrinsic value, but to make them undress this definition, it is necessary to bring this value to public attention and to engage fully. Obviously, we are a minority who does not despise the majority at all, indeed, I would like to emphasize this aspect: ours is not a deployment or a feminist attitude towards men but it is an invitation for them to emphasize our abilities and support us in the daring role of being great professionals as well as women and mothers. Unfortunately, the description is realistic: entrepreneurs and innovators are men often. Women do not like the risk and this ends up penalizing them. Men are more predisposed and risky from this point of view: they try more, they discourage less and ultimately prevail. Toni Lane Casserly, CoinTelegraph co-founder, has joined your initiative. How have you convinced her? The secret is really believe in. If you believe in an initiative and you are the first real and proud supporter you don't need to convince anyone. Toni has immediately realized the importance of a project like Blockchain Ladies, she has totally loved the community concept and manifesto, and wanted to become part of it as testimonial. Thinking of differences between different countries, what do you think about the role of women within the Italian society? Many steps forward have been made, especially since the '70s to the present. However, the woman being is still perceived as a great weight, especially in working environments. The World Economic Forum photographed the wage gap between men and women. Italy is at the 82th place after Burundi in the Global Gender Gap Index and at 126th between 144 countries on wage parity. There are several friends who have experienced unpleasant situations being hindered in their career growth. On several occasions I had to work harder to prove my professional qualities because I was obscured bu the male presence or because they voluntarily relegated as a woman to minor tasks. Personally, I would like that the wonderful woman-born experience would be lived and appreciated by every young girl in the future not as a difficulty but as a great privilege. What would you recommend to a young girl who wants to embark on a career in technology? First of all, thinking "out of the box". Often we have enormous mental patterns and limitations that we don't even realize. Secondly, you must always have your vision clear, be extremely focused and aim at the value you want to build more than the money you earn. Those who point to money always don't go so far or become mere businessmen, not leaders or real entrepreneurs. What are your predictions for the future regarding women and technology? Well, for someone like me who is convinced that Satoshi Nakamoto is actually a woman, it's easy to answer this question. The female world is experiencing a new phase characterized by the strange awareness that the real secret is taking example from men, teaming up and avoiding competition. This is our heel of Achilles, we have always striven to attack each other more than to seek collaboration. Now, however, there is a reversal of the trend and the "union is the force" is the weapon we are finally holding in the punch. Thank you for the interview, we like to hear more about an initiative like this. Is there anything else you would like to tell to our readers? The message I want to launch is this: each of us, every single individual, every human being on Earth has a mission. This requires great courage and a good dose of optimism. Pope Francesco at TEDTalk intervened reminding us how we all need each other, because none of us is an island, an autonomous and independet self, and we can only build the future together, without excluding anyone. I am extremely convinced that the power to change the world is in the hands of communities. Whether it is a women's community like "Blockchain Ladies", entrepreneurs community like Startup Grind or others, the collectivity and the spirit of aggregation are the true power. I firmly believe that Blockchain will change the world and this thanks to its two biggest qualities: transparency and trust.